To have and have another celebration… of life! 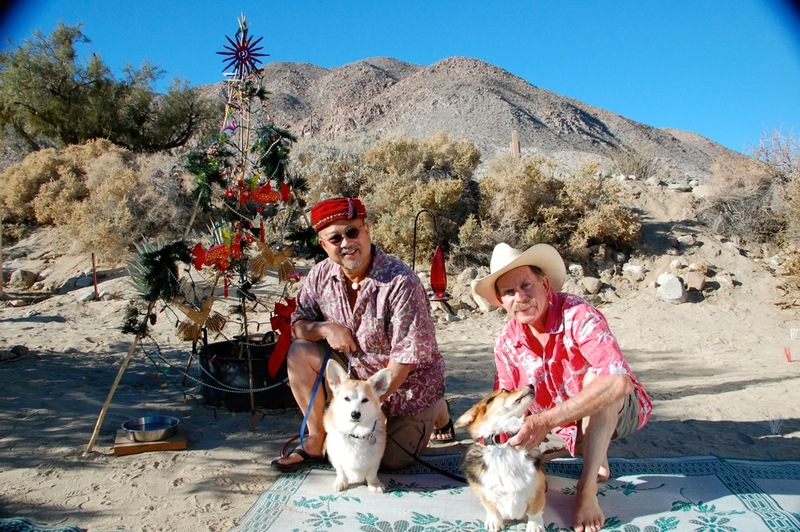 You are here: Home / Anza-Borrego / To have and have another celebration… of life! 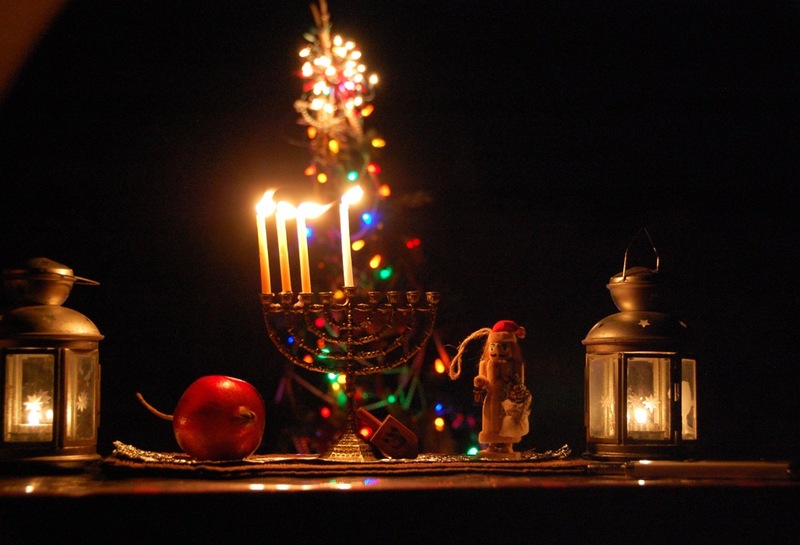 The other (political) party was still reeling, but our party was just getting started as we celebrated the first night of Hanukkah on the eve of our departure for a five night stay in the Anza-Borrego Desert and light up the dark nights with celebrations of Hanukkah, winter solstice, Christmas, New Year, and especially life, which seems so vulnerable, precious, and brief. 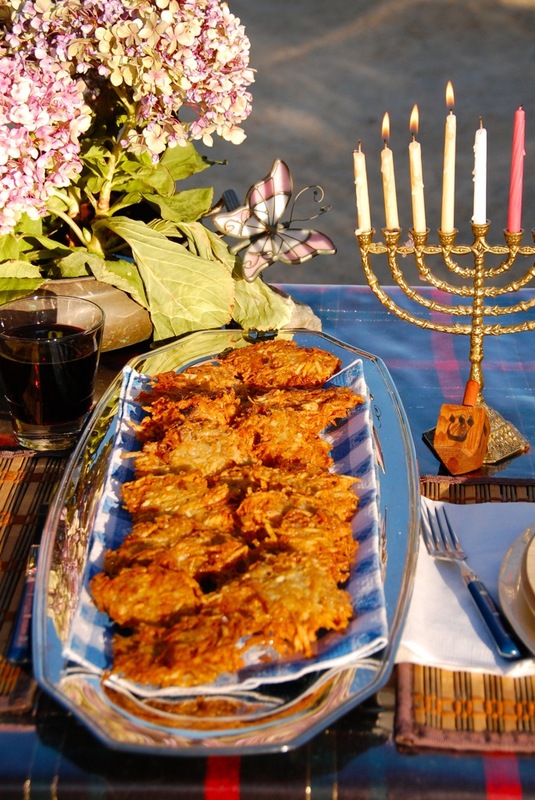 Hanukkah, also known as the Festival of Dedication and the Festival of Lights, is a wonderful celebration of freedom, and is observed by lighting the candles of the Hanukiah and by eating food that is fried or baked in oil. 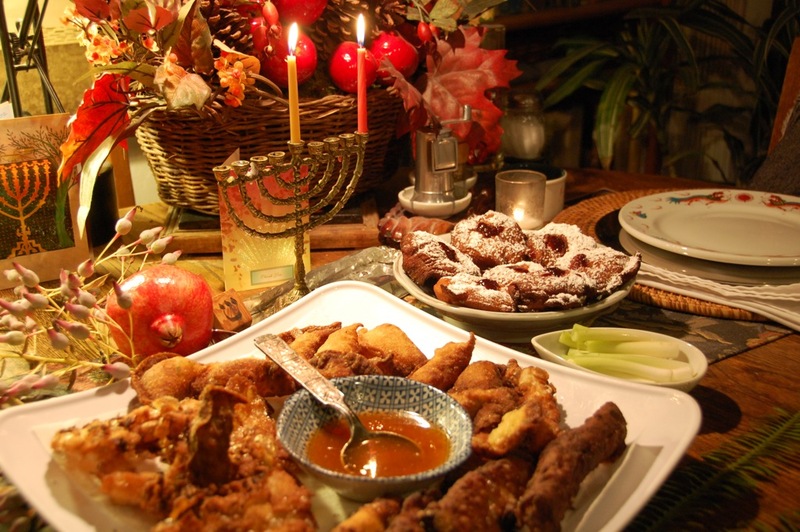 For the first night of this eight-day celebration, Larry made egg rolls that were dipped in apricot Sriracha sauce and sufganiyot that were injected with cherry/raspberry/blood orange jam and sprinkled with powdered sugar. 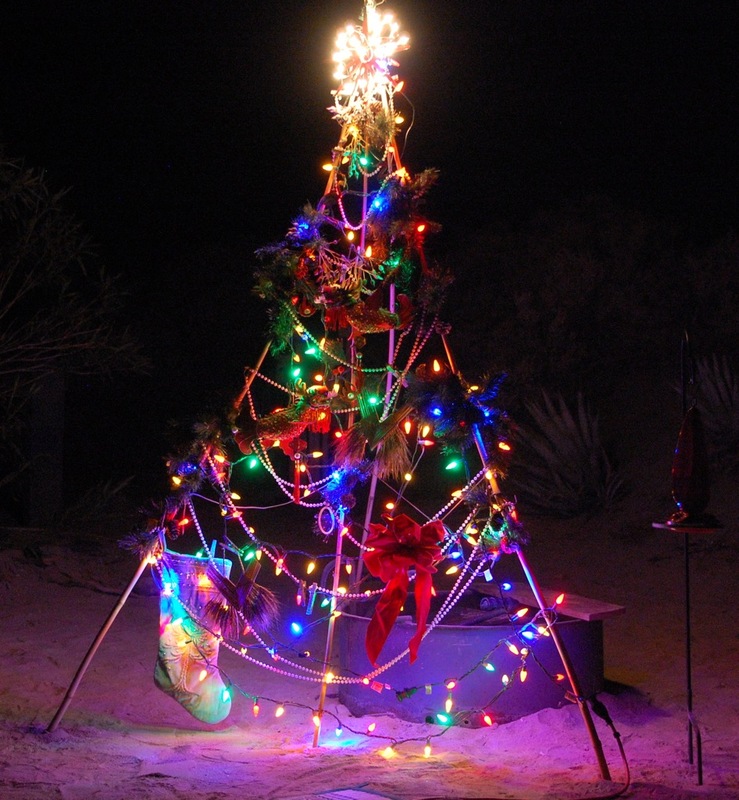 For this trip, Larry made a bamboo Christmas tree and added lights and decorations topped by a red star given to us by our good friends Bert and Janie. We also brought along one of our hummingbird feeders from home. 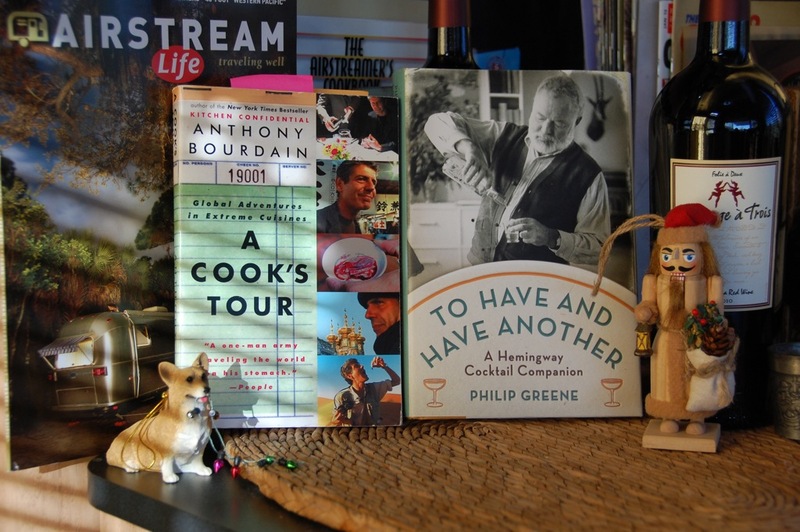 Good reading material, including a new book, To Have And Have Another, by Philip Greene, was brought along. Our very nice neighbor Donna gave us a Corgi Christmas ornament (seen below). 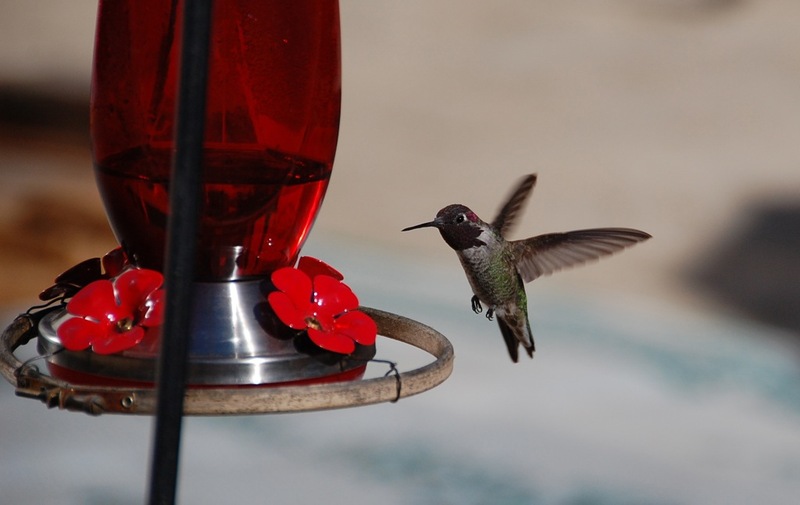 As we continued our celebrations, Anna’s Hummingbirds were having a festive time with our feeder. 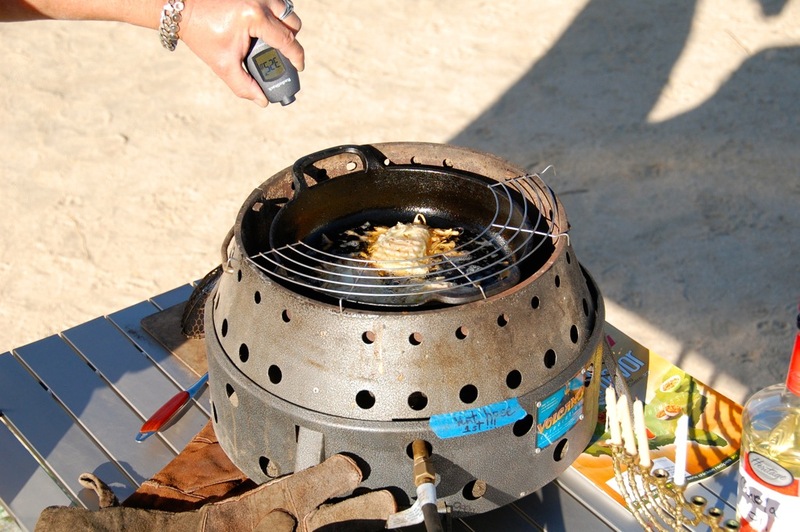 For the 5th night of Hanukkah, Larry made latkes and used our tire infrared thermometer to check the temperature of the cooking oil! 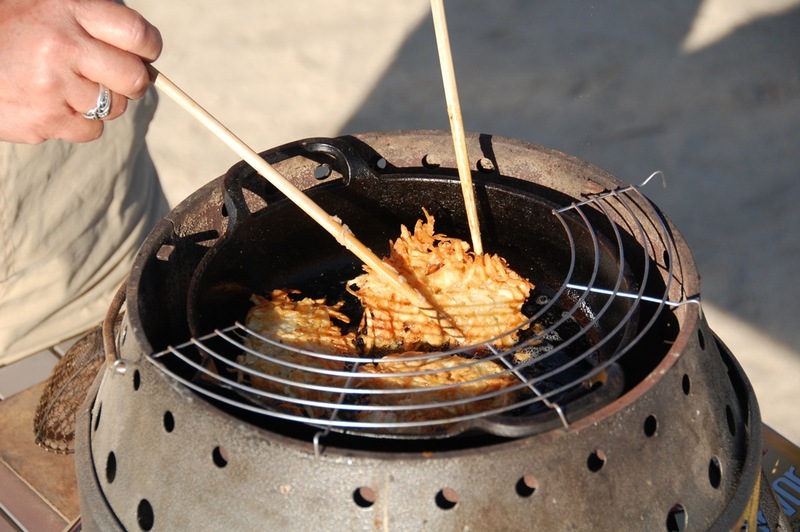 He says that using chopsticks was easier than tongs to turn over the latkes. 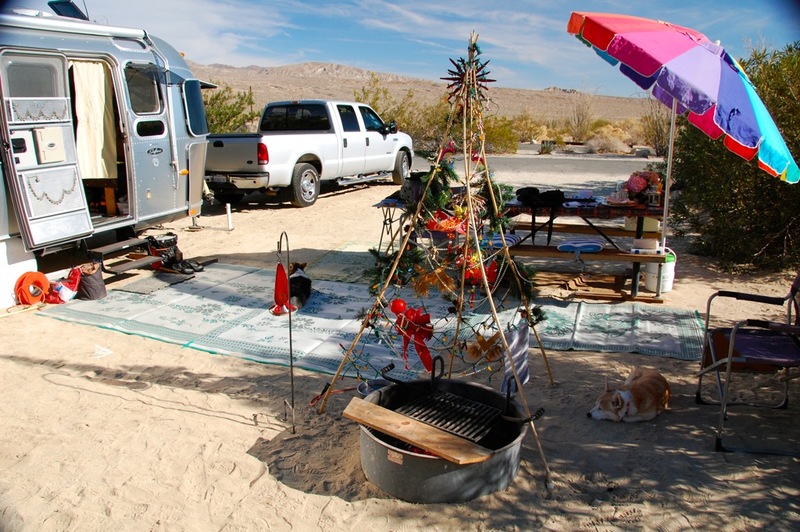 At night our desert campsite was lit up by our Hanukiah and Christmas tree. Great stuff, very thoughtful and reflective in view of the savagery in Connecticut. My wife prefers that I eat prior to reading your blog. The result….fewer demands. Enjoy the holidays; we’re prepping for a major midwestern storm scheduled to arrive tonight, high winds, drifting lake effect snow, an unfolding Bing Crosby dream. All the other reindeer will see to it that Rudolph goes down in history. and yes, the savagery in Connecticut weighed upon me as I selected my words for this posting. Perhaps, I only needed one word… a word selected by Leonard Cohen for the title of his song: “Hallelujah”. See and hear the coaches and artists pay tribute to the Connecticut shooting victims with Leonard Cohen’s “Hallelujah” on YouTube: “Hallelujah – The Voice“. Keep warm as the winter storms arrive… Hugs to all!